Chickens are very important animals on a farm. 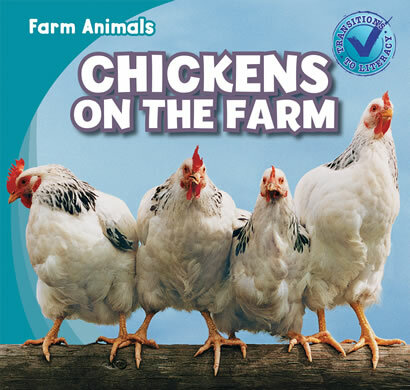 Beginning readers discover what farmers get from chickens and many other fun facts about these birds. Easy-to-follow, accessible text allows young readers to learn where chickens live, how they sleep, and what they eat. A helpful picture glossary aids in the development of vocabulary skills, and bright photographs show what life is like for these fascinating farm animals.